The Ruby-throated Hummingbirds are still around. I see them about 3 times a day. 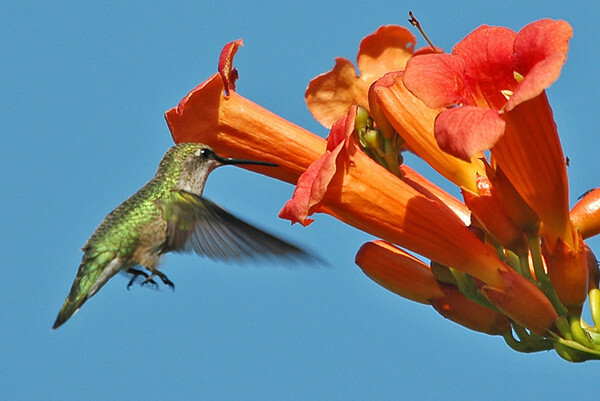 The trumpet vine is one of their current sources of nectar.